Help your emerging and existing leaders recognize, value, and act on the many tiny opportunities to lead every day. Take a look at this simple 12-point checklist created by Jeff Janseen. Jeff directs cutting-edge Leadership Academies for high school and college coaches and all across the nation including North Carolina, Pittsburgh, Illinois, Yale, Baylor, Wake Forest, and Winston-Salem State. Fortunately leadership opportunities abound and present themselves on a daily basis. While they may be subtle, leaders are usually given at least a dozen opportunities to demonstrate leadership every single day. These leadership opportunities are rarely available in the form of dramatic, rousing, “win one for the Gipper” type speeches, but most often present themselves in simple, yet significant interactions on a daily basis. Most emerging leaders erroneously view and define leadership as the mighty shoves reserved only for the heroic captains of the team. In actuality, however, it’s the tiny pushes of leadership that happen more frequently and have the greatest impact over time. To help your emerging and existing leaders recognize, value, and act on the many tiny opportunities to lead every day, I have created a simple 12-point checklist. I encourage you to go over the checklist with your leaders to show them just how simple leadership can be – yet how profoundly powerful the aggregate of these 12 daily leadership actions can be on your program. 1. Be the hardest worker at practice today. Without fail, one of the quickest ways to impact a team is with your own work ethic. Choose to be one of the hardest workers on your team today. Not only does it set the tone for the work ethic of your program, it is also one of the best and quickest ways to enhance your leadership credibility with your teammates and coaches. 2. Be a spark of energy and enthusiasm today. Let your passion for the sport shine through today. Spread a contagious energy and enthusiasm amongst your teammates. Think about how lucky you are to be able to play and compete. Remember back to when you were a young child and reconnect with the joy you played with back then. Make your sport fun again for yourself and your teammates. 3. Model mental toughness today. Because your teammates will look to you under pressure, adversity, and stress, be sure to model mental toughness today. Bounce back quickly after errors to show your teammates how to respond to negative situations. Maintain your poise and optimism despite any mistakes you might make so that your teammates can trust and rely on you to get them through the tough times. 4. Connect with a teammate today. Leadership is all about relationships. Invest the time to build and strengthen the relationships you have with each of your teammates. Inquire about their day, challenges, and goals. Make a special and ongoing effort to get to know every athlete on your team, not just your friends and classmates. The relationship building you do each day will pay off immeasurably down the road. 6. Challenge a teammate today. Challenge at least one of your teammates today. Positively push them and yourself to make the most of your workout. Make a friendly wager to see if they can be successful at least 4 out of 5 times in a drill. See if you both can improve your times in conditioning. Offer to stay after to help if there is anything they want to work on. Good leaders consistently invite, inspire, and sometimes implore others to greatness. 7. Support a teammate today. Odds are, at least one of your teammates is struggling with something today – it could be a performance slump, a rocky romantic relationship, a disagreement with a coach, an unglamorous role, struggling with a class, or a sick family member. Good leaders are consistently on the lookout for teammates who might be struggling and are ready to offer an ear to listen, an encouraging word, a pat on the back, or a shoulder to cry on. 8. Constructively confront negativity, pessimism, and laziness today. As a leader, have the courage to constructively confront the negativity, pessimism, and laziness that will crop up on your team from time to time. Instead of fueling the fire by joining in or silently standing by, be sure to refocus your teammates on solutions rather than dwelling on and complaining about the problems. Left unchecked, these problems can quickly grow to distract, divide, and destroy your team. 9. Build and bond your team today. Team chemistry naturally ebbs and flows throughout the course of the season. Take the time to monitor and maintain your team’s chemistry. Let your reserves and support staff know how much you appreciate them. Stay connected and current with each of the natural sub-groups on your team. Douse any brush fires that might be occurring and continually remind team members about your common goal and common bond. 10. Check in with your coach today. Invest the time to check in with your coach today. Ask what you can do to best help the team this week. 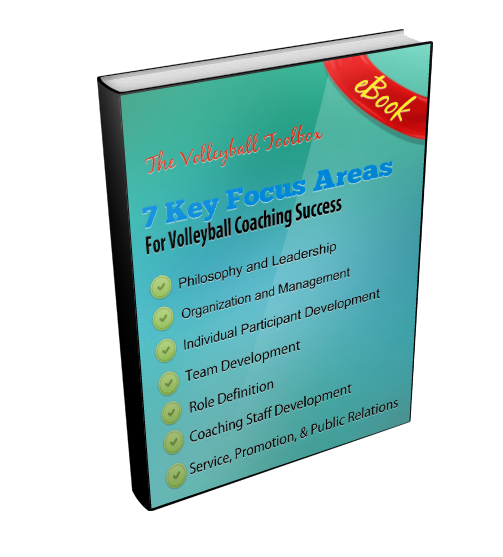 Find out what your coach wants to accomplish with today’s practice. Also discuss if there is anything your coach is concerned about regarding your team. Discuss your collective insights on your team’s chemistry, focus, and mindset. Work together to effectively co-lead your team. 12. Represent yourself and team with class and pride today. Leaders have the awesome privilege and responsibility of representing their teams. Take advantage of this opportunity by representing your team with class and pride today. Hold a door open for someone, sit in the front rows of class and actively engage in the discussion, say please and thank you, dress in respectful attire, etc. These tiny pushes represent you and your team with class and distinction. And they ultimately set you up for a lifetime of respect and success. Great leaders willingly invest the time and effort to engage in these 12 leadership actions on a daily basis. In applying these principles, leaders build strong relationships, keep their team on track, and enhance their credibility. Encourage your emerging leaders to take advantage of at least 7-9 of these actions on daily basis. Your veteran leaders should be looking to capitalize on 10 to all 12 of these opportunities. And as a coach, I encourage you to go back and look at all 12 again as well. The 12 leadership behaviors are things that you could and should be doing on a daily basis too. Be sure that you too take advantage of these 12 tiny pushes of leadership that will ultimately make a huge impact on your team. This is a great article to share with the entire team especially captains. Little things make a big difference.